« Who would believe that one tiny switch could cause so much chaos! 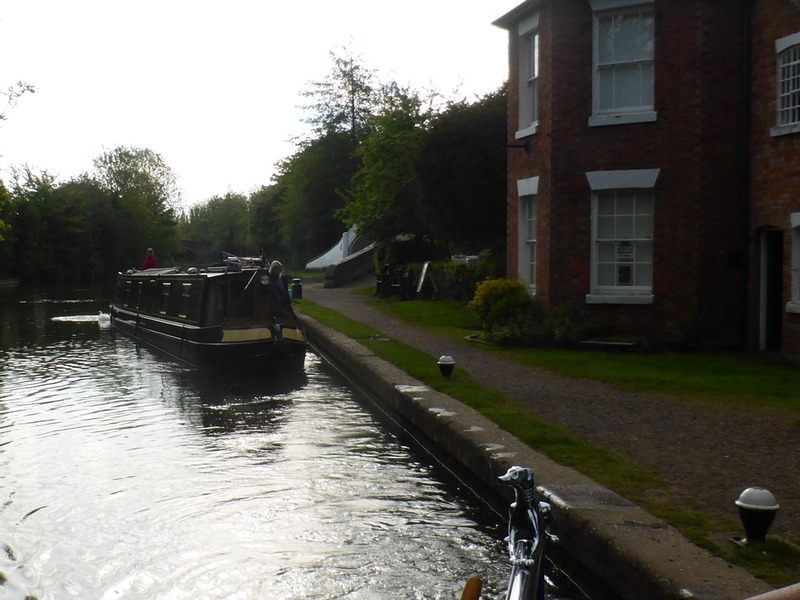 We stayed in Braunston Friday night so that G could watch his grandson play in a big ‘finals’ footie match. Unfortunately a player was injured near the start of the game and couldn’t be moved until the ambulance arrived – 2 hours later! So the match was called off. Just as I was throwing dinner together to feed G in a rush before he had to leave, ‘Halfie’ (John and Jan) turned up, but we had only time for a quick natter. 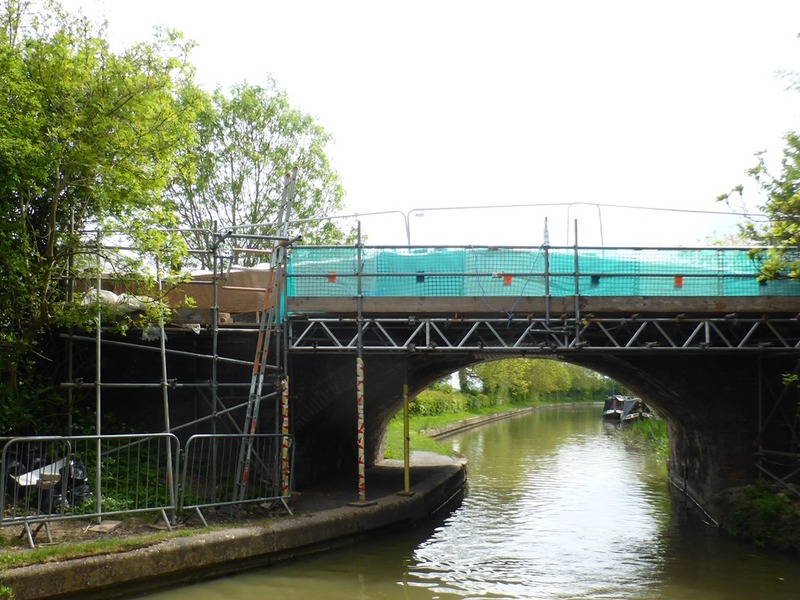 They told us that they had seen Matilda Rose turn off up the Oxford canal; so that put paid to any chance of a meet up with the new owners – perhaps it’s just as well. 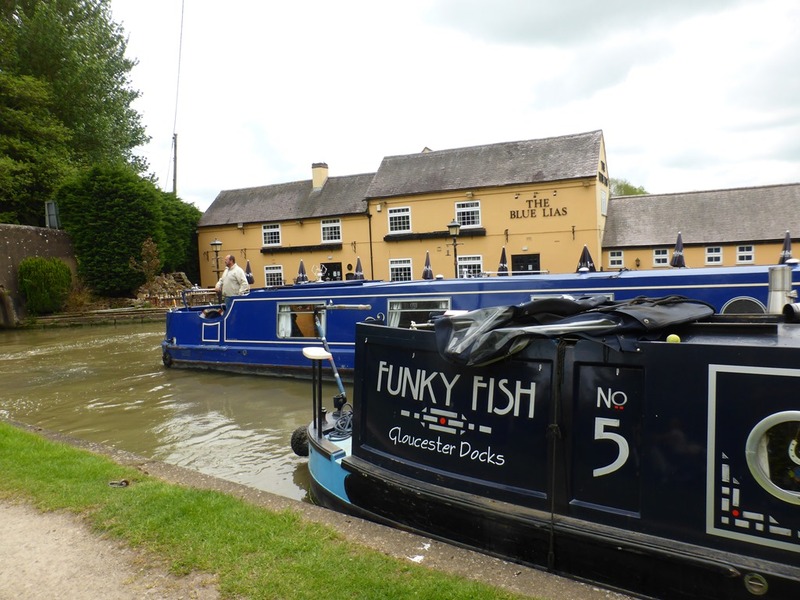 Saturday morning we were holiday boaters in a hurry and left at 7.30 am; unfortunately it took us half an hour to top off the water and, by the time we reached the Calcutt locks, our friends on Funky Fish were paired off and locking down. Even that early in the morning there was a boat waiting for us to finish watering so that they could get in. 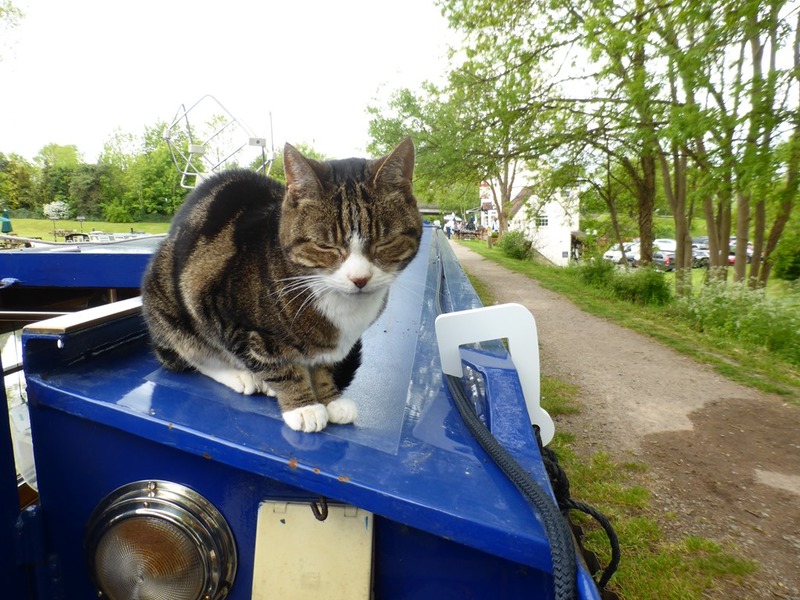 I did manage to prise himself off the tiller eventually (after whacking him over the knuckles with a monkey wrench), but not for long. We caught up with Funky Fish at the top of the Stockton flight and had just started locking down with them when Richard appeared on his bike to give us a hand. 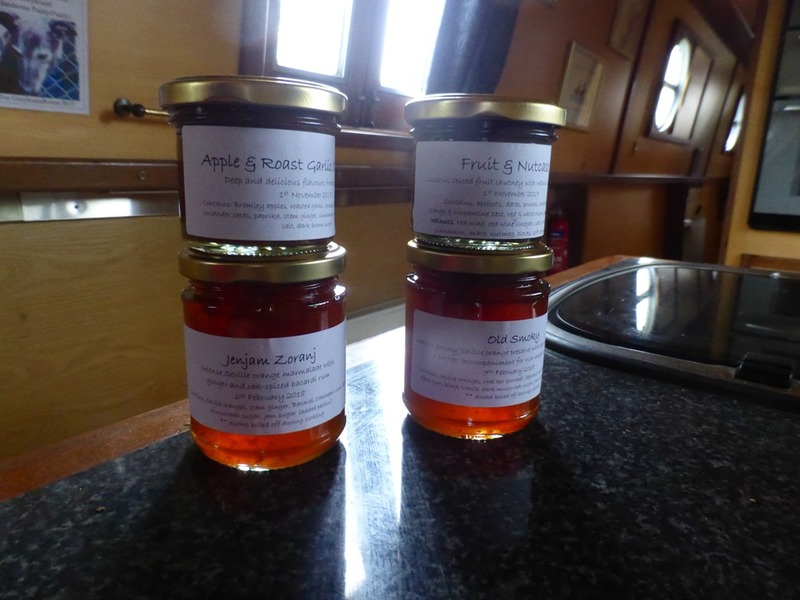 We moored by the Two Boats and took delivery of the marmalade and chutney that had been overlooked (thank you so much Sue ID and eat your heart out Sue NP). 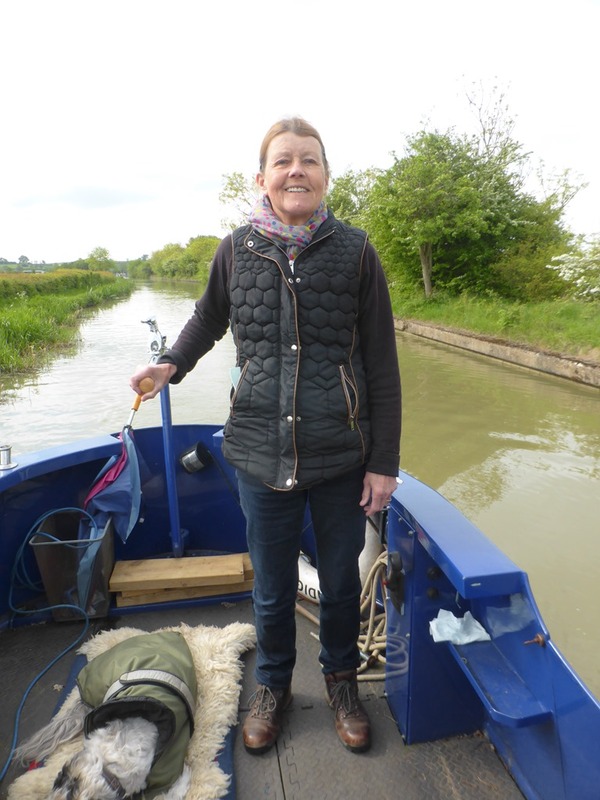 After eating lunch at the pub, Richard kindly drove G back to Braunston to pick up our van; taking it onwards to our destination and returning G to the boat. 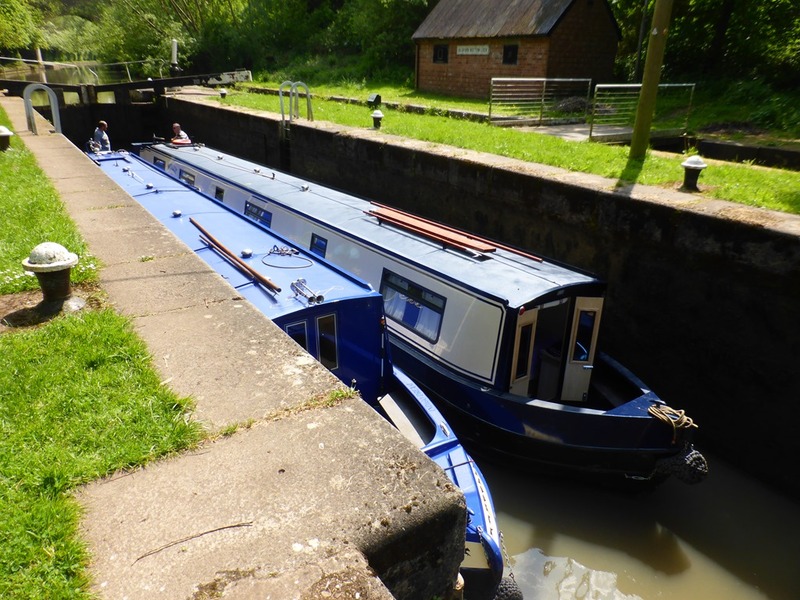 This left us free to cruise our little socks off like holiday boaters in a hurry – we didn’t though, we stayed the night; well we had done 11 miles and 13 locks. 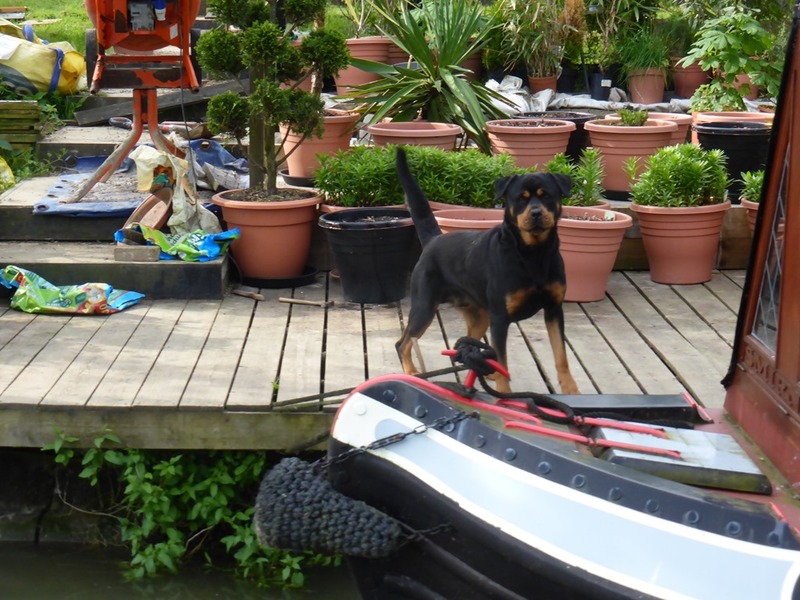 Daisy quickly recovered from an assault on the boat by an Alsatian which spotted her from the pub terrace and came hurtling down the towpath at her. She gave it the evil eye as it approached, before casually popping back onto the roof of ID. 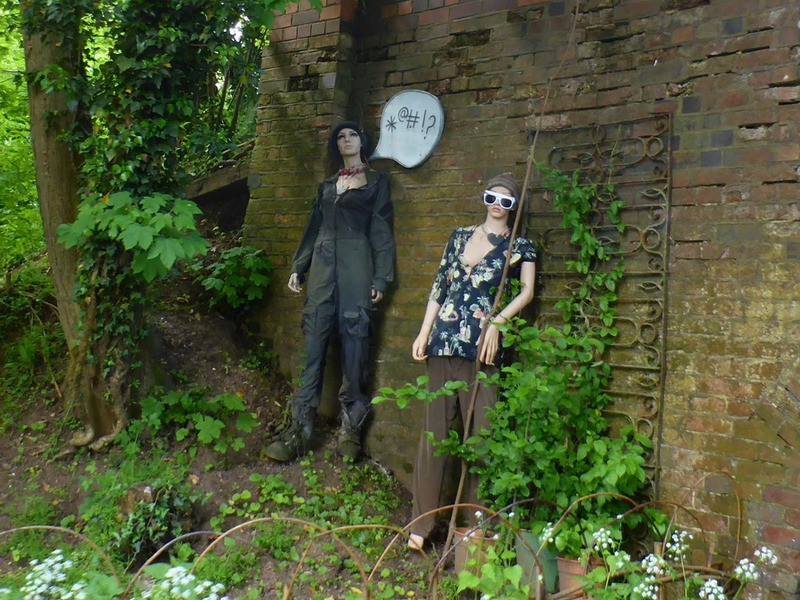 The Alsatian went demented; barking, growling and leaping in the air to try and get to her. 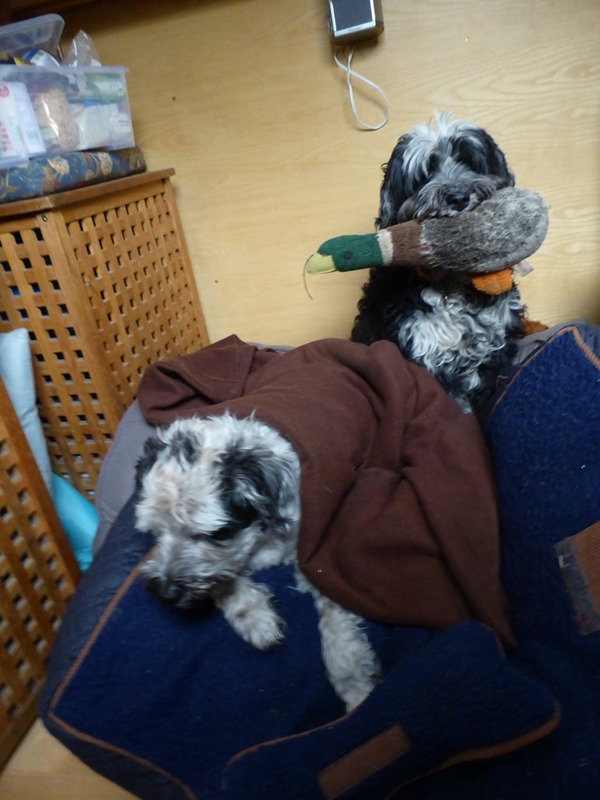 Eventually, the owner sent a small girl (smaller than the dog) down to the dog which, by this time, had wound itself into a frenzy – Muttley and Baxter joined in the mayhem of course, whilst Daisy spat. I asked the girl to pick up the dog’s lead (still attached) and take the dog away, but she ignored me and looked back to her parents (still at the pub) for assistance. 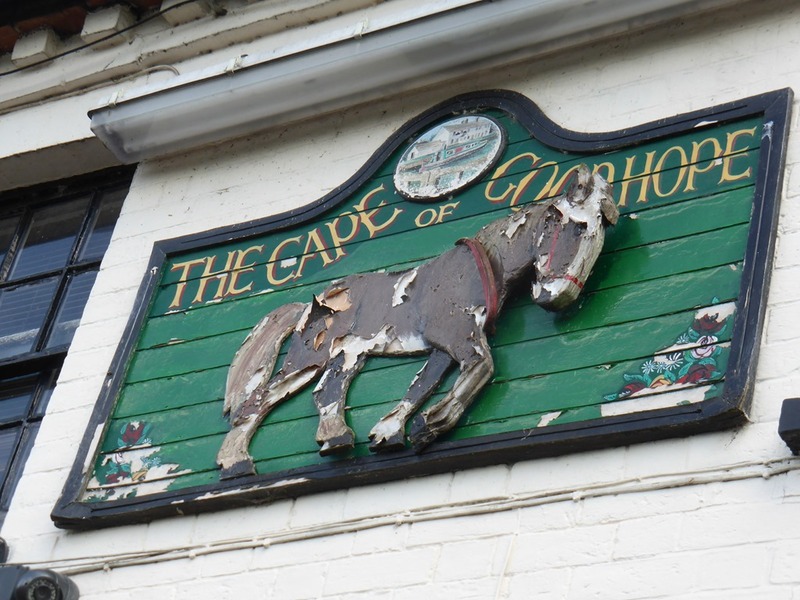 In the end it calmed down and trotted back to the pub. Extraordinary behaviour from the owners whose only response was to call it from time to time. Sunday we had a lie in and didn’t leave until 8.45. 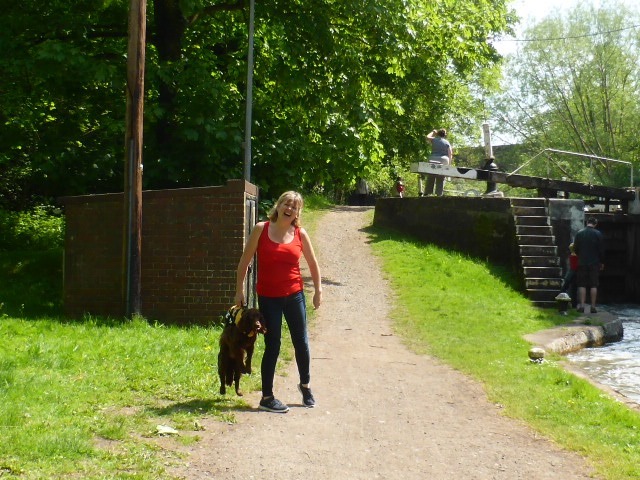 We locked down the 10 locks with some pleasant people on a hire boat with their dog Zeta; the latter falling in at one point and having to be fished out by her life jacket. We warned them that we would be stopping at Kate’s boats for a pump out; we weren’t desperate, but wanted to be sure to get the job done (as it were) before we left ID. 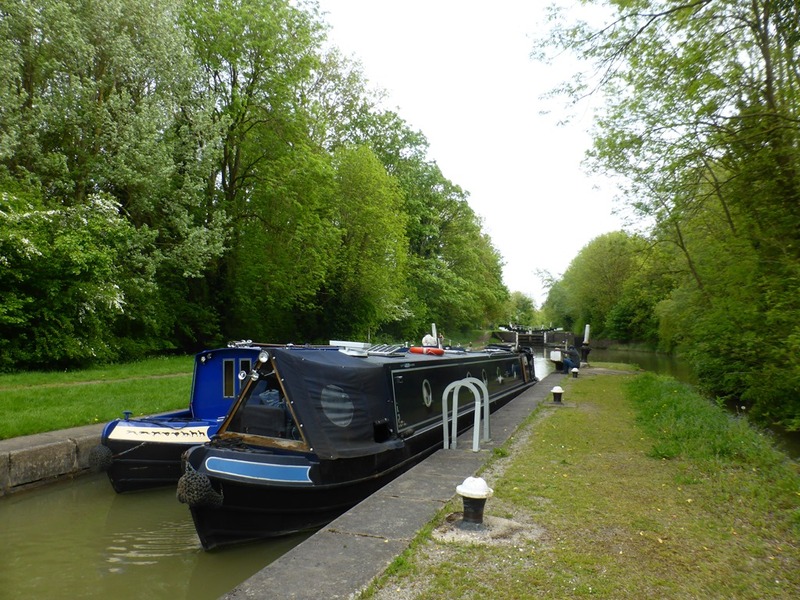 Not a soul around the boatyard anywhere so we gave up on that and carried on through Warwick to the last two locks of the day. Needless to say, the first flush of the loo after failing to get a pump out and the red ‘tank full’ warning light came on. As I approached the Cape Locks G went up to work the one side for me and then I was joined by another boat – a single hander and an uphill lock, so G had to work both sides himself – how I laughed. My amusement quickly faded though when I realised that I was physically challenged on the helm of ID. 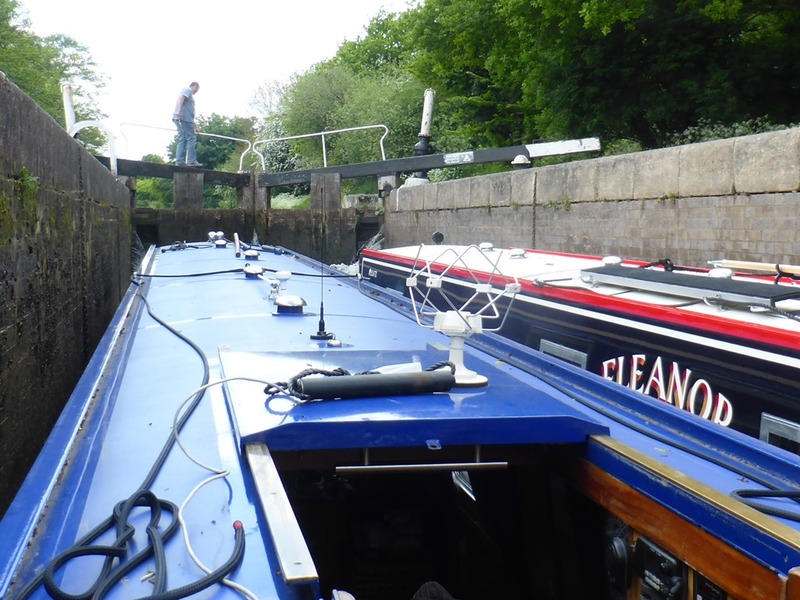 With the tiller fully to the right I couldn’t reach the throttle; so I’m now restricted to the left hand side of locks! This boat swims so well that you really do have to be very light on the throttle. 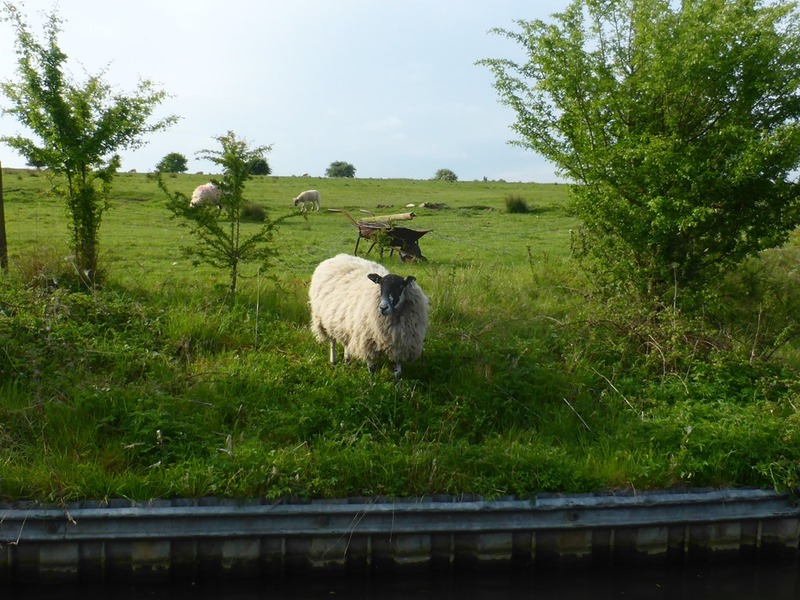 We were looking to moor by the pub before doing the Hatton 21 in the morning. 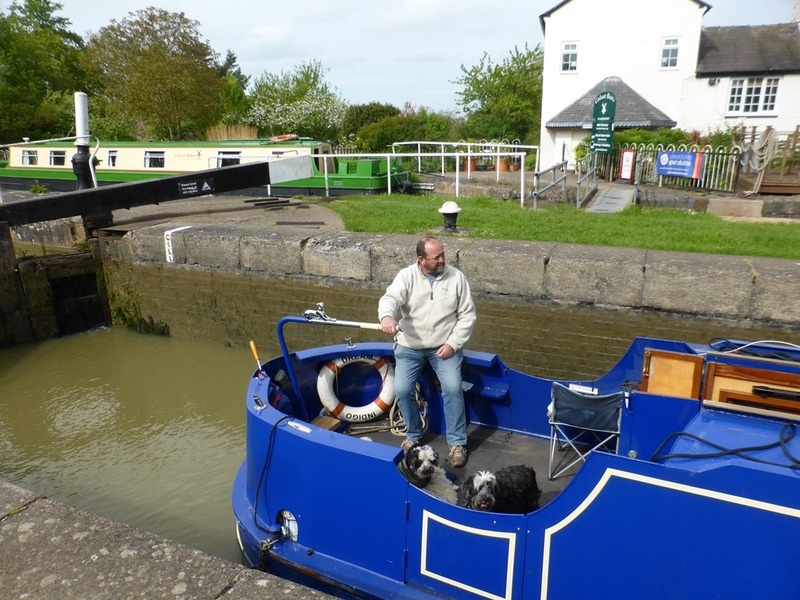 As usual it was very busy but G spied a space that he reckoned was just about big enough – I happily relinquished the tiller and, as always, he was right…nice parking skipper! It seemed that it would be a good idea to pop into the pub, so that was us done for the day. 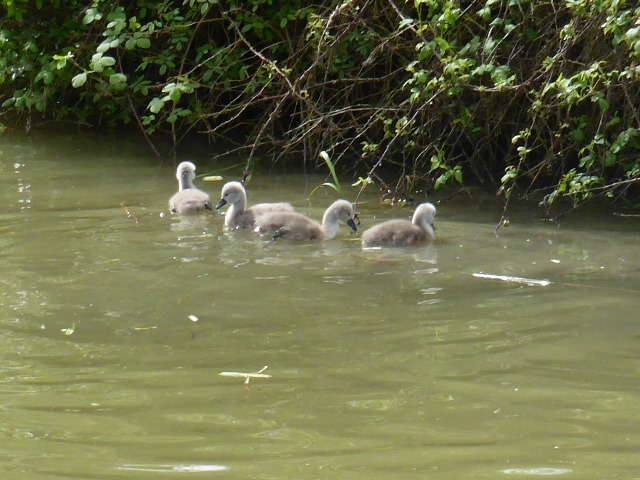 Whilst we were sat outside enjoying the sun, the hire boat we’d locked with went past us. 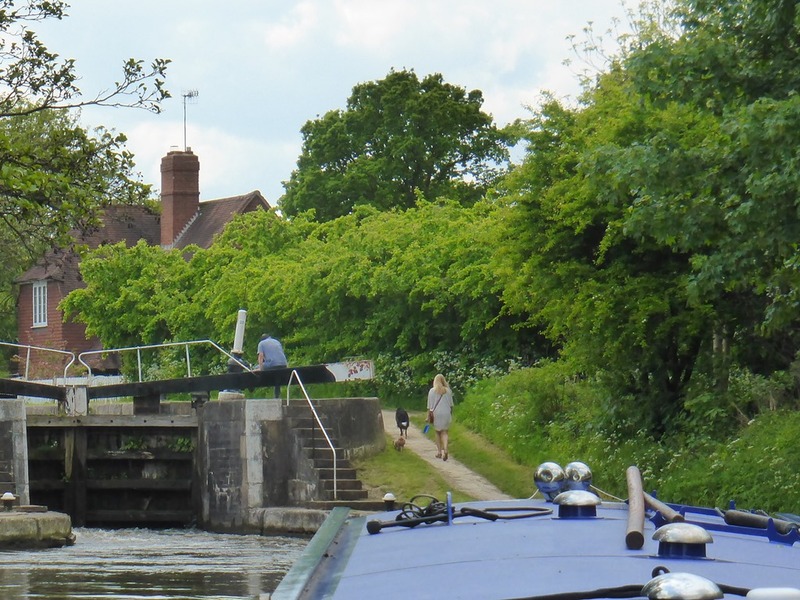 They’d already done the 10 Stockton locks before joining us for 10 more and were heading on to do the Hatton 21 at 3.30pm – what it is to be young and enthusiastic. 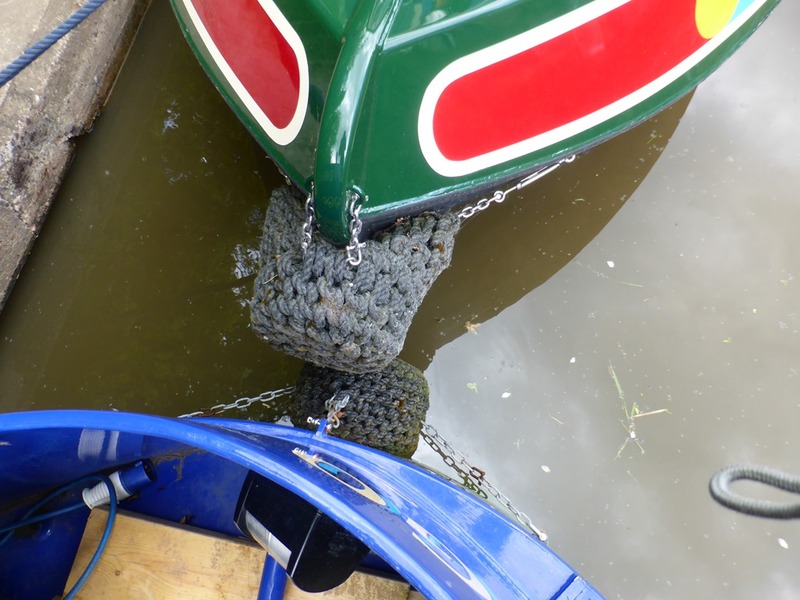 It seems we’re still a bit too lightweight to be holiday boaters! This entry was posted on 15/05/2018 at 5:01 pm	and is filed under Uncategorized. You can follow any responses to this entry through the RSS 2.0 feed. You can leave a response, or trackback from your own site. Blimey, I’m out of breath just reading this! Doesn’t sound much like a Holiday to me? Moving again,virtually no cooking (thrown together stuff), Muttley walked during the cruise and slept like a baby; what more could a woman ask for? Definitely a holiday. We had such a good time; great to be back on a narra – just a few bruises on our elbows. The computer is throwing a woopsy at me – can’t delete/edit! 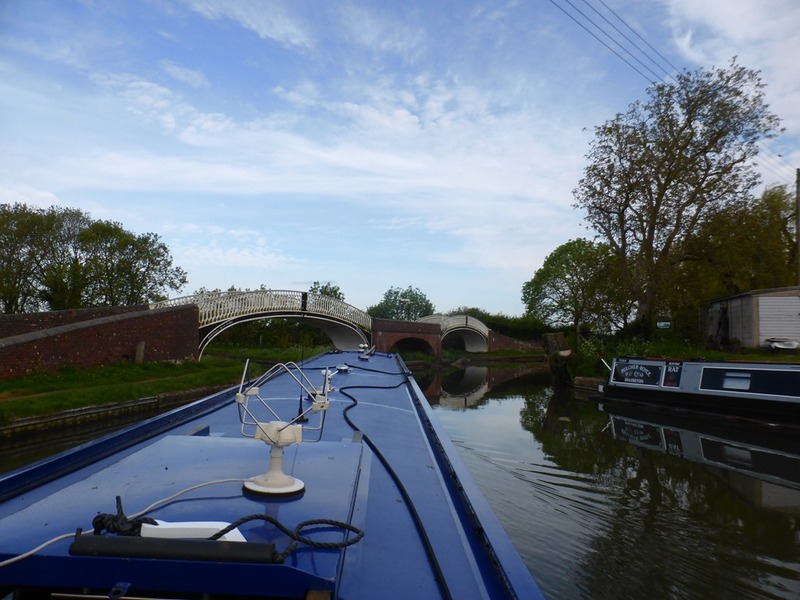 It is brilliant to see you at the helm and know that you and G are cruising the cut again! 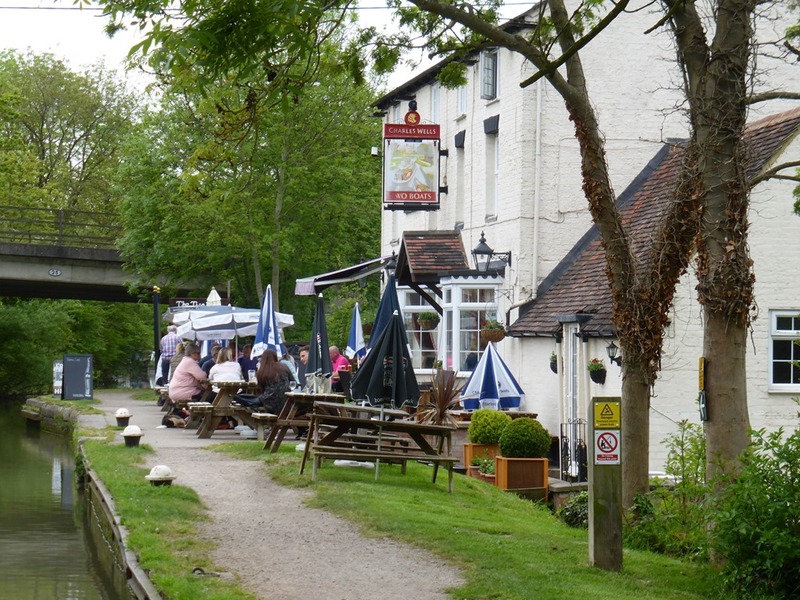 This “we moored by the pub” stuff. Something got to be said about that kind of lifestyle. Brill! We have made so many friends through blogland over the years and still meet new people through it. In an ideal world I’d have a narra for some summer cruising in the UK; a sailboat for summer in NL, AND a barge for winter living. I wouldn’t want to go back to living full time on a narra now though, we enjoy the elbow room. I couldn’t believe it when ‘Halfie’ turned up.